Thanks to two failed Westminster bids to break the Brexit impasse by backing Theresa May’s flawed EU withdrawal deal, seemingly Brexit could be delayed (forever?) thanks to an extension granted by Brussels meaning the UK could yet contest the EU elections in May later this year. Apparently, everything hinges on whether MP’s are allowed to even vote on May’s forlorn deal again after EU leaders agreed to the extension depending on that very outcome. Brexit could be delayed even further if MPs fail to agree for a third time or back some kind of neverending Brexit, despite the initial plan to formally leave the institutions of the EU at the end of March this year. 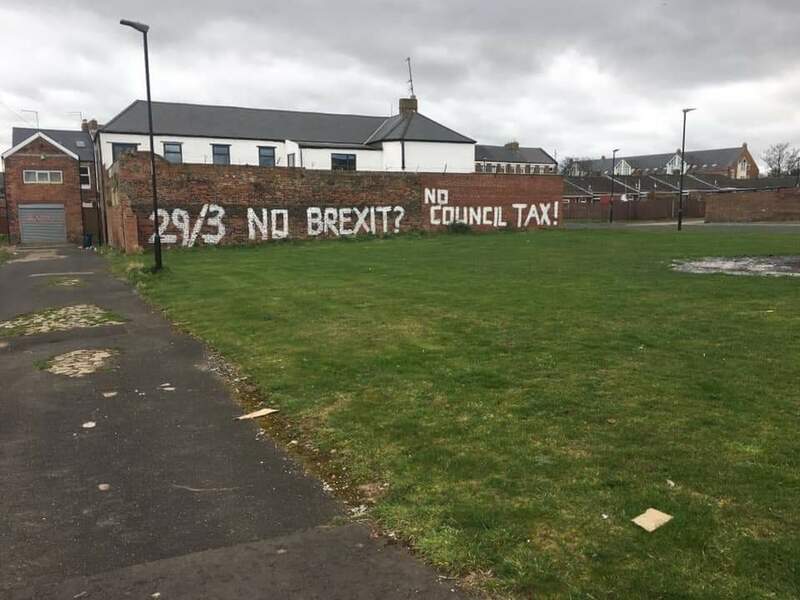 Already graffiti has appeared in Sunderland, in the north east of England, the first major city to declare for Brexit during the 2016 referendum, demanding a local tax strike if Brexit is delayed beyond the end of this month. As the Brexit revolution continues to impact on constitutional politics, potentially leading to a break up of the old party system and even the UK itself, grassroots opinion, particularly in England’s forgotten towns and cities, could prove pivotal in the months and years ahead.